Samsung has unveiled a swanky new variant of the Galaxy Note8 which you may never be able to get your hands on. The 2018 Winter Olympics will take place in PyeongChang, South Korea from the 9th of February to February 25th. Samsung, as one of the main sponsors of the Games, will give more than 4000 personalised Galaxy Note8 devices to athletes and IOC staff. 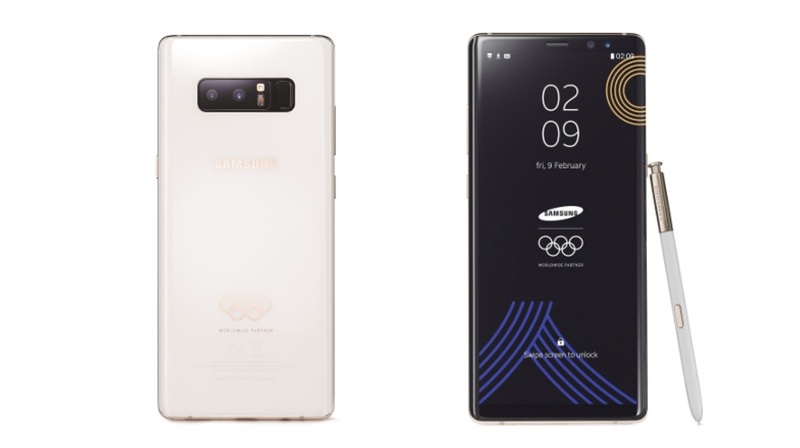 These personalised Note8 devices are called the Samsung Galaxy Note8 PyeongChang 2018 Edition. 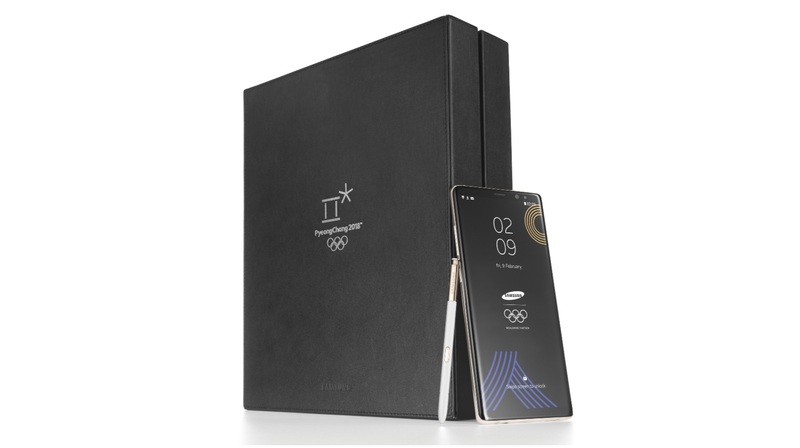 The new smartphone variant has a shiny white back panel with the iconic golden five-ring Olympics logo. 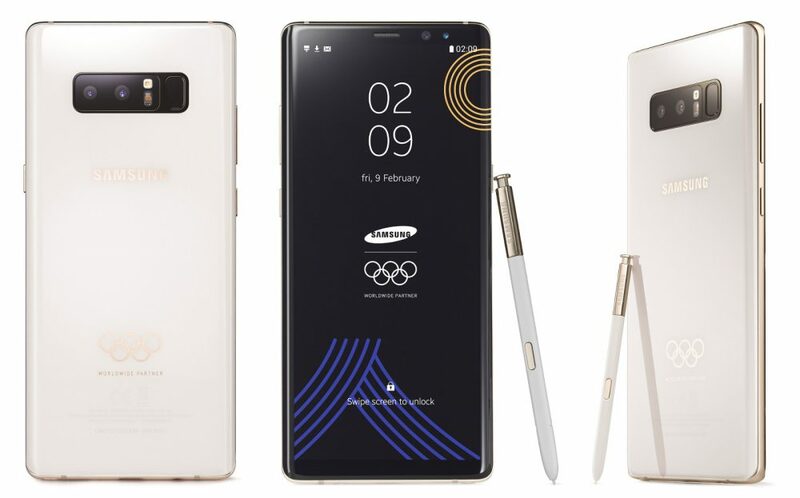 The Galaxy Note8 PyeongChang 2018 Edition will also have a gold colour finish on the phone’s rim, buttons and parts of the S Pen. The limited edition variant will also have preloaded PyeongChang 2018 themed wallpapers and apps “to help cultivate the utmost Olympic Games experience”. Paralympians will also receive this smartphone and their phones will come with cases that will have the Paralympic Games logo. 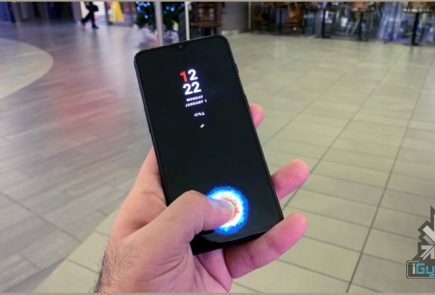 While this device is exclusively for athletes as of now, Samsung might change its plans and launch this device for the public as well. The company released the 2016 Olympics edition Galaxy S7 Edge to the public as well, though it only sold a couple of thousand units worldwide. The Samsung Galaxy Note8 has a 6.3 inch 2960 x 1440 px 18.5:9 aspect ratio Super AMOLED display with an 83.1% screen-to-body ratio and Corning Gorilla Glass 5 on the front and back of the device. As is with all Samsung flagship devices, the Galaxy Note8 ships with two different chipsets, the Qualcomm Snapdragon 835, 2.45 GHz octa-core processor with Adreno 540 GPU for USA and China, and the Exynos 8895, 2.3GHz Quad-Core (Custom CPU) + 1.7GHz Quad-Core (Cortex-A53) with Mali-G71 MP20 for the remaining markets. The device also has 6GB RAM and onboard storage options of 64GB/128GB/256GB which is expandable via microSD card up to 256GB. 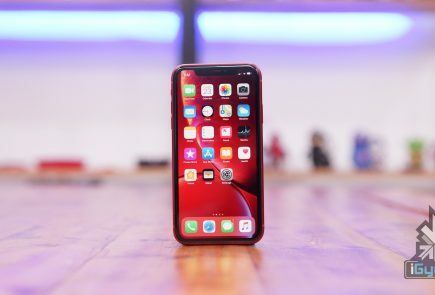 The smartphone is powered by a non-removable 3,300 mAh battery with QuickCharge 2.0 through the USB Type C port and because of the glass at the back, the phone also supports wireless charging as well. The fingerprint sensor sits at the back of the device right next to the dual-cameras. The Galaxy Note 8 runs Android 7.1.2 Nougat with Samsung UX on top. It is also in line to receive the Android 8.0 Oreo update soon. 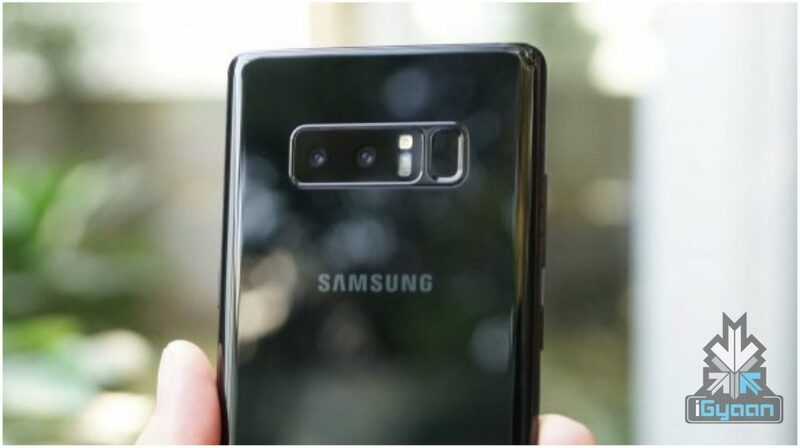 The Galaxy Note 8 is the first phone from Samsung to feature dual-cameras with a 12MP dual-camera setup, the primary camera has a wide-angle 12MP lens with an f/1.7 aperture and the secondary camera has a 12MP telephoto lens with an f/2.4 aperture. The dual-cameras are capable of capturing 4K videos at 30 FPS. On the front is an 8MP camera with an f/1.7 aperture and captures 4K videos at 30 FPS.